Americans have trust issues with their government, especially at the national level. Prior to the Watergate scandal, 70 percent of Americans trusted the federal government’s ability to handle domestic issues, but as of 2017, according to Gallup polling, trust levels have fallen to 45 percent. By contrast, 70 percent of Americans continue to trust their local government, a level that has held relatively steady for over four decades and across party lines. This can be explained, in part, by the narrower scope of government at the local level. City councils are responsible primarily for areas like infrastructure and zoning, not interstate commerce or national security. By the same token, because the issues are more circumscribed, voters feel a keener sense of ownership over local issues. We may not all agree about if or how a wall should be built along the U.S. borders, but we can all agree on the urgency and necessity of fixing potholes on Johnston Street. Precisely because levels of trust in local government have been so consistently high across the country, it makes the push for term limits at the local level surprising. If voters typically trust their local elected officials, then they’re more likely to want to preserve the option of re-electing them. Term limits for legislators were heavily promoted at the national level in the early 1990s and were included in the 1994 “Contract with America” spearheaded by then-Congressman Newt Gingrich. Though term limits haven’t been adopted in the U.S. Congress, they have trickled down as a policy idea. Currently, 15 states have adopted terms limits for state legislators, including Louisiana. However, according to the National League of Cities, only about 15 percent of cities place term limits on municipal offices such as mayor or council members. In that regard, Lafayette is in the minority: The mayor-president and council members are restricted to serving three consecutive four-year terms. As discussions about the proposed amendments to Lafayette’s Home Rule Charter have progressed, issues surrounding current members’ term limits became a focal point. 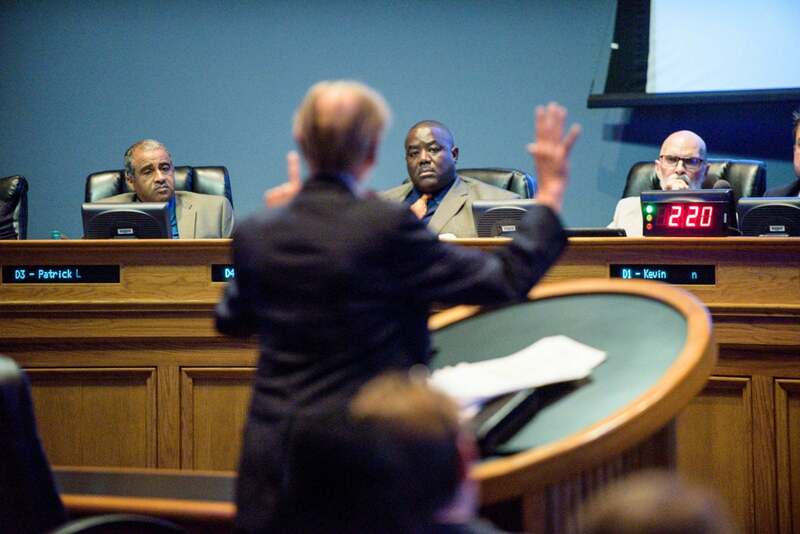 As originally introduced at the July 10 council meeting, it appeared that current council members would effectively be able to restart their term clocks if elected to either of the two proposed councils. This was taken by some commentators as proof of corruption. Skeptics of the proposal argued that with four out of nine current city-parish council members facing the end of their third term, this entire plan was concocted to ensure they could continue serving in office (assuming they were elected to one of the two new councils). This theory was undermined when the proposal was amended so that term limits would continue to apply to current members. 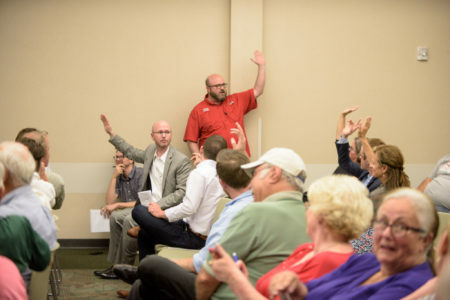 As Councilman Kenneth Boudreaux said at his town hall, even though he is personally opposed to the idea of term limits because it robs the council of valuable political experience, he supports adding a binding term limit because he believes the proposed charter amendments are more important than the continued service of any one council member – himself included. The debate over term limits has confirmed an underlying level of mistrust that is atypical toward local governments nationwide. Part of this suspicion is rooted in the history of Lafayette’s consolidation itself. As longtime critic Andy Hebert has frequently made clear at city-parish council meetings, the city and parish never fully consolidated. While some legislative, executive and bureaucratic services merged, the budgets did not. Moreover, the other municipalities maintained their own governing independence while the city of Lafayette sacrificed its autonomy. Even among those who are regular observers, Lafayette’s consolidation is confusing. Arguments that “the parish is broke” don’t make sense to many residents who remember voting for consolidation in 1992, or voting against deconsolidation in 2011. Try explaining the intricacies of the dual city and parish budgets to any but the most dedicated political nerds and you’ll find eyes glazing over. Thankfully, many of the recent town halls concerning the charter amendments were well attended, indicating there are, in fact, plenty of political nerds out there. The very fact that so many Lafayette citizens have participated in this conversation over the past few weeks indicates that people are interested and vested in their local government, even if they are at times suspicious and mistrustful of it as well. One of the best ways to restore trust is to restore autonomy. When voters can see that their participation matters and can effect change, their levels of trust in government rise. The proposed charter amendments do exactly that by giving Lafayette city residents autonomy over their own affairs. Just as Youngsville residents have their own council and control over their own city taxes, so too should Lafayette citizens have control over their own tax dollars, ordinances and other municipal undertakings. There are many challenges faced by both the city and the parish that the proposed amendments do not address. Most prominently, the dwindling coffers in the parish budget will not be replenished by this proposal. But neither Rome nor Lafayette were built in a day. Even though this proposal doesn’t address all the problems facing our parish, it does address the critical issue of autonomy and begins the process of clarifying the relationship between the city of Lafayette and the parish. This is an important step toward rebuilding trust in local government long undermined by a confusing and convoluted system of government. 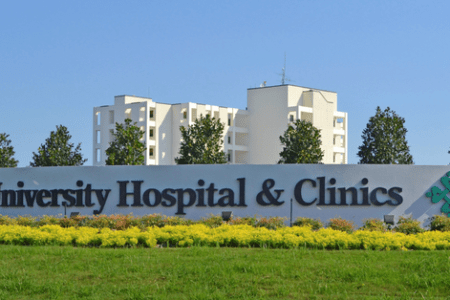 If Lafayette loses UHC, our community will be sicker, poorer, weaker, and less able to dig our way out of the $10 billion economic hole we find ourselves in now.